Official name: Precious Little White Lie. Date of birth: 29/03/10 (dd/mm/yy). 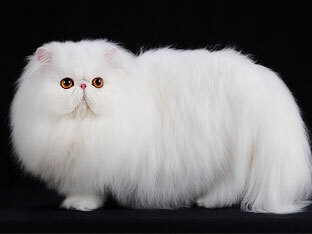 - Grand Champion (GC) in CFA, Feline Fanciers of Benelux Show, Belgium, February 2012. - Champion (CH) in CFA, Cat Fanciers of Finland Show, November 2011. - Highest Scoring Kitten in Cat Fanciers of Finland Show, August 2010. Character: Milton is the most hungry little boy on the Earth. He eats everything and much. Maybe that's why he is not so agile. Eating is a serious business for him but everything else, like baths, shows and travelling, Milton takes just easy.